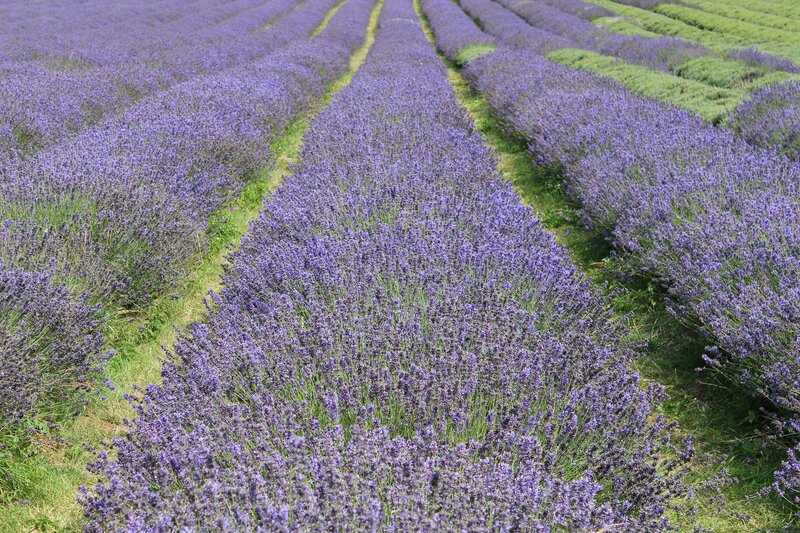 Our wanders this weekend took us to Mayfield Lavender, a 25 acre lavender farm just a short bus ride away from Croydon. It is virtually on my doorstep and yet I had never heard of it until last week (courtesy of a fascinating post from Diamond Geezer). 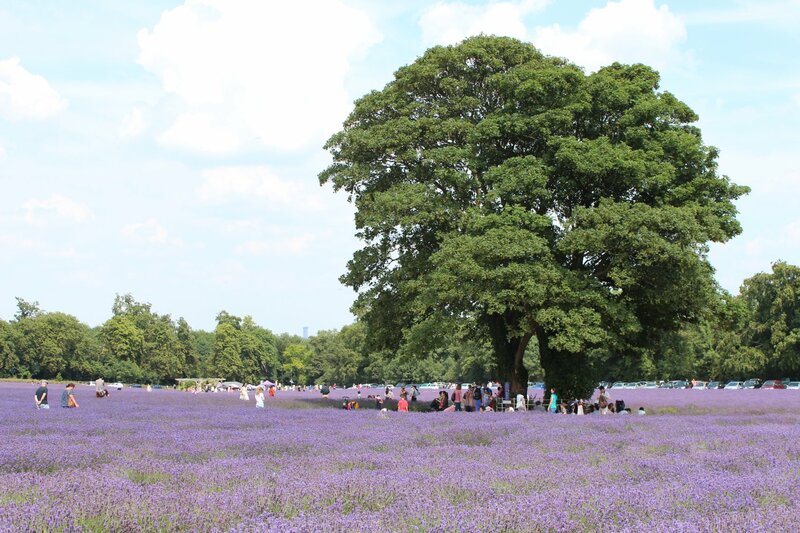 The field makes a striking sight from the first moment that you enter – a sea of blueish-indigo flowers in which visitors can be seen bobbing about. It is certainly a popular attraction at this time of year, with almost the entire bus emptying on our arrival. 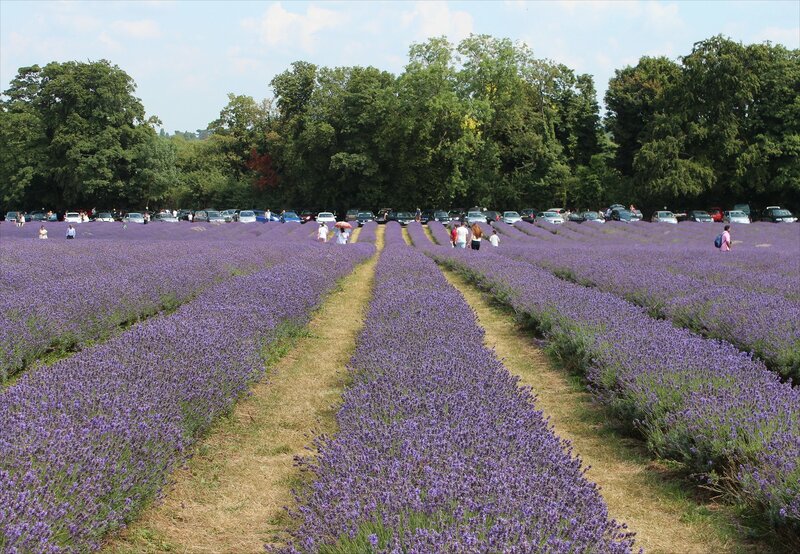 In the nineteenth century this part of Surrey (encompassing Mitcham, Carshalton, Wallington and Banstead) was at the centre of a lavender growing industry, supplying companies such as Yardley for use in their perfume and toiletries. 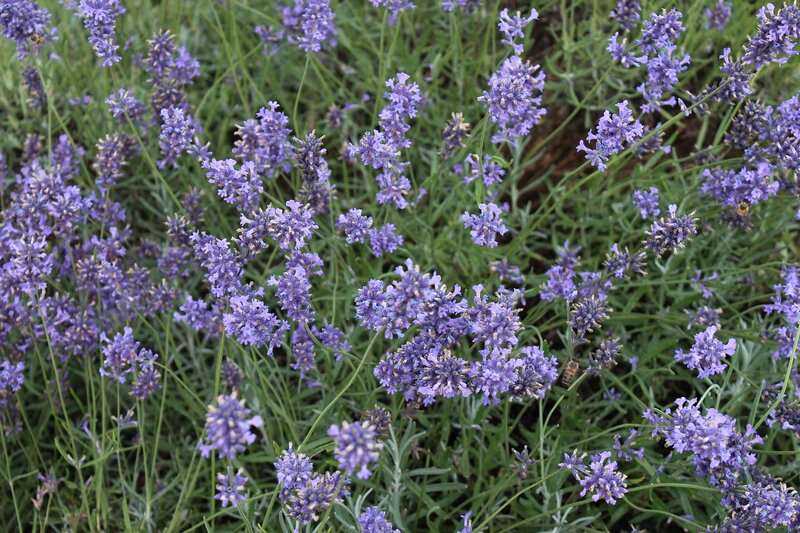 Hundreds of acres were planted with lavender, swathing the area in blue during the summer months. Today, there are relatively few farms in operation in the UK. 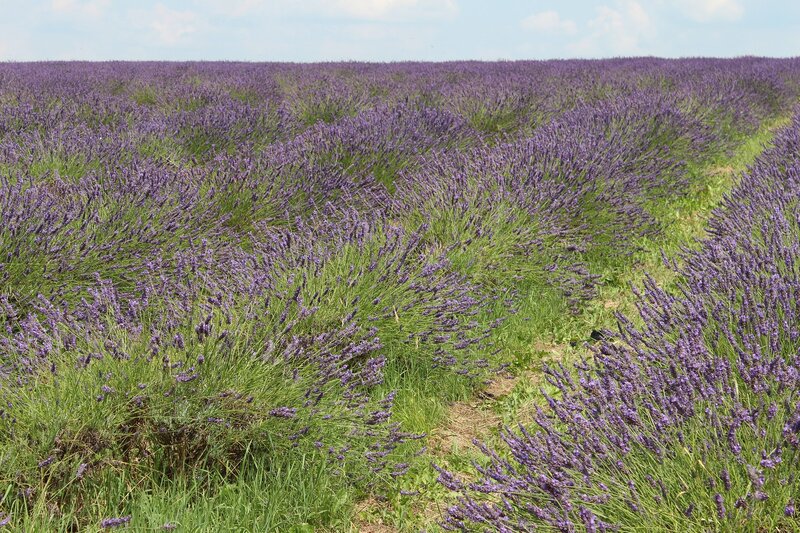 Mayfield Lavender was established in 2002 on the exact site of one of the nineteenth century lavender farms. 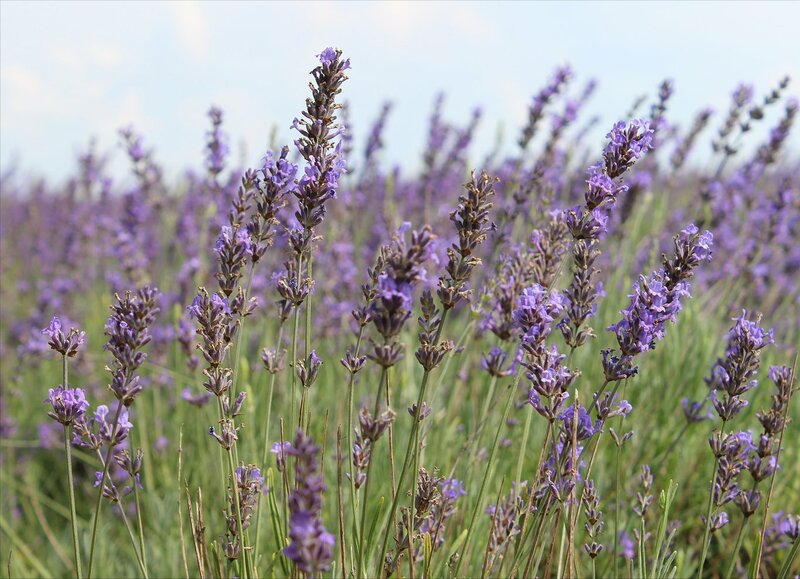 Within its opening hours you can walk up and down the rows, admiring two varieties of english lavender (Folgate and Maillette) and a hybrid (Grosso). 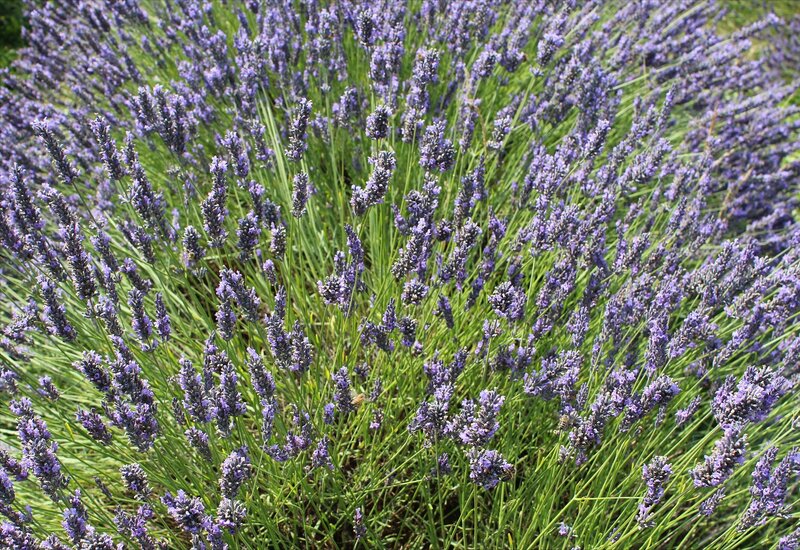 It was interesting to note the differences between the varieties, particularly the sheer volume of bees buzzing around the Grosso and the amazing sound that this created (assuming that you haven’t got Marillion’s Lavender involuntarily running through your head!). 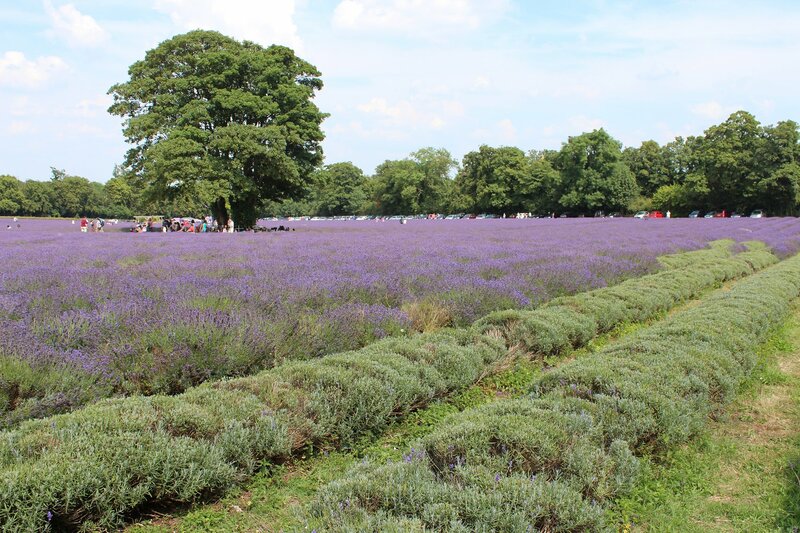 After our short walk we rewarded ourselves with some of the farm shop’s homemade lavender ice cream before heading home. Many thanks to Diamond Geezer for highlighting such a surprising local attraction! One of the delightful side-effects of the Bluebell Railway’s re-connection to the mainline has been the emergence of Sheffield Park as a destination for charter trains. 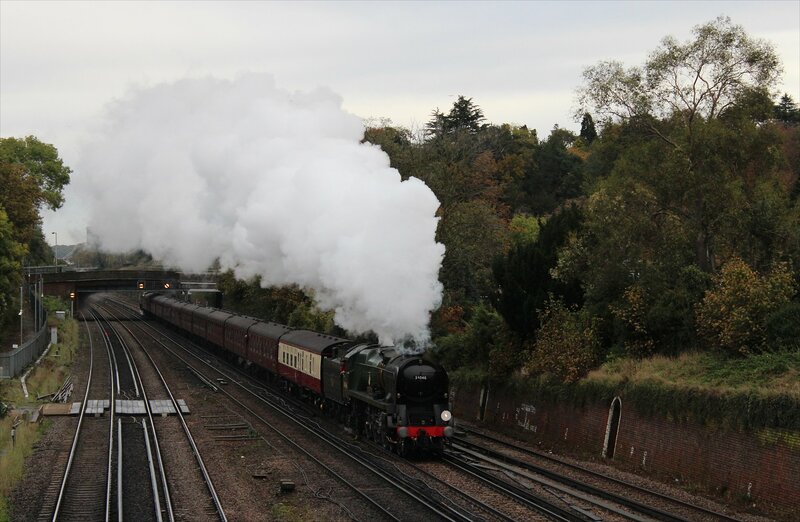 In the year to date there have been three steam-hauled charters, starting with Tornado’s visit on 10th September 2013. I missed that occasion but managed to catch the next two charters en-route to the Bluebell Railway. The next charter to the Bluebell Railway was hauled by BR Britannia Class no. 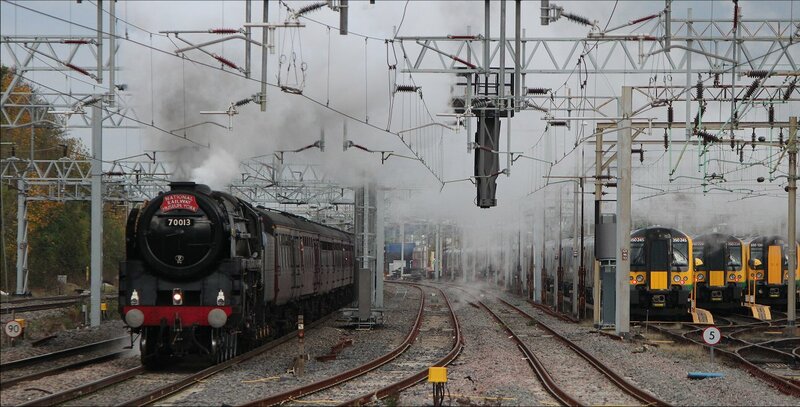 70013 Oliver Cromwell, which blasted through Bletchley rather magnificently at 11:01am on 2nd November 2013. The tour was pretty neat in design, as it ran from one preserved railway to another (having started at Bridgnorth on the Severn Valley Railway). Unfortunately, the weather was rather dreadful by the time it arrived at the Bluebell Railway. 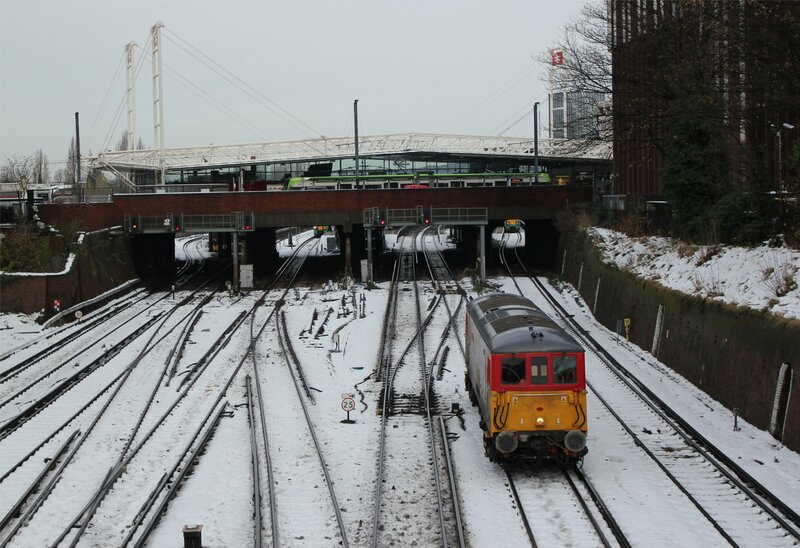 The third charter stuck to southern metals, running from London Victoria to Sheffield Park, followed by a run to Uckfield and then back to London Victoria. Unusually, this charter was topped and tailed by steam locomotives – BR rebuilt Light Pacific 4-6-2 no. 34046 ‘Braunton’ on the front and LMS Class 5MT 4-6-0 no. 44932 on the back. 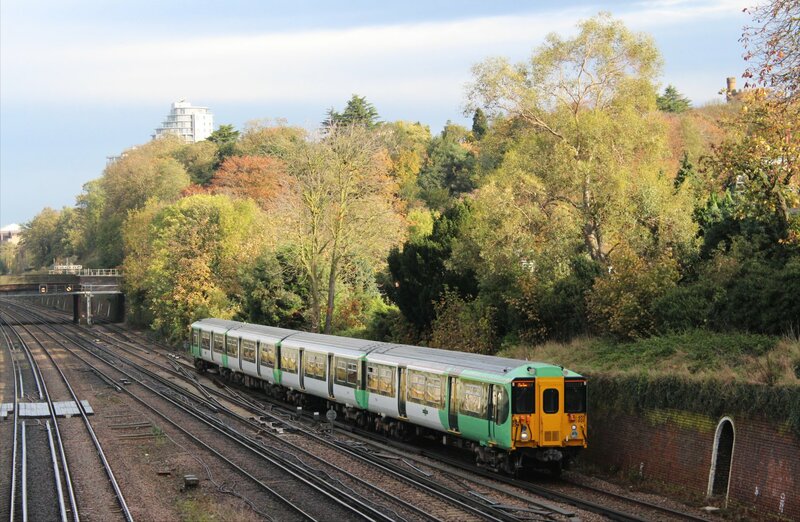 Typically, the light was beautiful in the lead up but the clouds had crept in by the time the railtour passed through my chosen spot at South Croydon. Nevertheless, this was still better than conditions on the Bluebell Railway itself which was once again quite wet. It will be good fun catching other railtours as they pass through the area in the coming years. It’s a great stretch of line with some interesting places to watch and photograph a steam locomotive working. It was a relief to hear the sound of dripping around town today that indicated the thaw was well under way, even if it still isn’t exactly tropical!